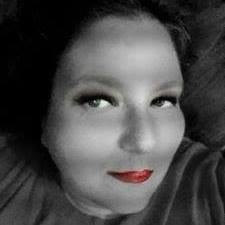 This is a sponsored conversation written by me on behalf of a Stork's Jorney. The opinions and text are all my own. A Stork's Journey is a great movie for that the entire family can enjoy. Not only is this movie really cute, but is also Dove Family approved. 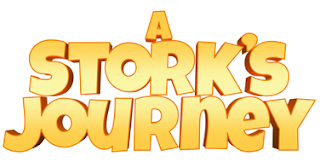 May 16, 2017 - (Los Angeles, CA) – Take flight on a grand adventure for the whole family with debut of A Stork’s Journey for free for a limited time on Google Play, beginning June 1 from Lionsgate. 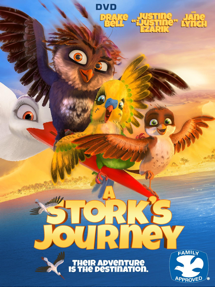 Featuring the voice talents of Drake Bell (Superhero Movie, “Drake and Josh”), YouTube star Justine “iJustine” Ezarik, and Jane Lynch (“Glee,” Wreck-It Ralph), AStork’s Journey follows Richard, a sparrow orphaned at birth and raised by storks who believes that he is a stork, too! But when winter comes and the storks prepare to migrate to Africa, his stork family must reveal his true identity and leave him behind in the forest with the other sparrows since he would not survive the long journey. Determined to prove he is a stork after all, Richard ventures south on an epic adventure, accompanied by friends big and small, to unleash his true potential and be reunited with his family. This family-friendly, feature-length animated adventure will be available to redeem for free* for a limited time on Google Play from June 1 to June 28, 2017. A Stork’sJourney will make its debut in theaters on June 30 and will be available on DVD, Digital HD, and On Demand on July 4. Title Copyright: Program Content and Package Artwork © 2017 Knudsen & Streuber Medienmanufaktur, Ulysses Filmproduktion, Walking The Dog, Mélusine Productions, Den siste skilling. All Rights Reserved. Artwork and English Audio © 2016 Grindstone Entertainment Group, LLC. All Rights Reserved. Google Play is an online store with millions of digital songs, movies, TV shows, apps, games, books and more. With access to 40 million songs, thousands of new release movies and next day TV shows, millions of apps and games, and thousands of news sources, Google Play is your one stop shop for digital entertainment on any device. With the acquisition of Starz, Lionsgate adds to its portfolio of businesses the flagship STARZ premium pay network serving nearly 24.3 million subscribers and the STARZ ENCORE platform with over 31 million subscribers. The combined company will operate five over-the-top (OTT) streaming services and the STARZ app delivering content directly to consumers.